Hand painted duck eggs featuring Polish floral patterns and nested inside a hand painted wooden box. The duck eggs are blown out and come with a ribbon hanger. 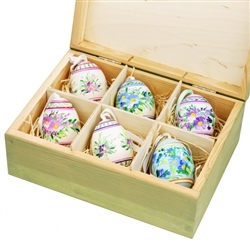 Eggs are all hand painted and decorations will vary from set to set. 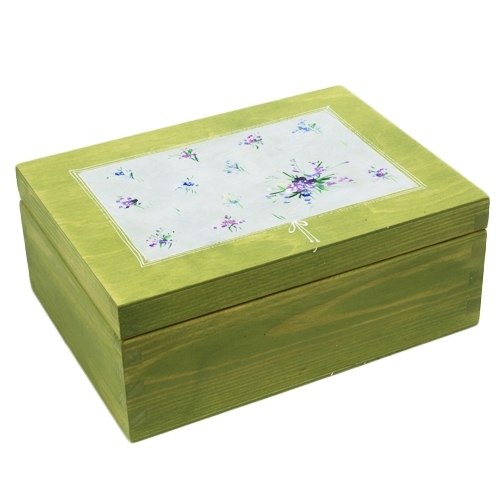 Box Size Exterior - 8.25" x 8.25" x 3.75"